Both the movements for the abolition of slavery and for women’s rights were powerful expressions of nineteenth-century Protestant moral reform. A few Christians raised protests against slavery prior to the Revolution, but many more began to question its compatibility with Christianity in light of the Enlightenment ideals enshrined in the Declaration of Independence. Early antislavery advocates began to call for gradual emancipation, sometimes linking emancipation to the repatriation of slaves to Africa. Strong critics like Daniel Walker sounded a more prophetic note with denunciations of the hypocrisy of American Christianity. The abolitionist movement gained momentum in the north in the 1830s with calls for immediate emancipation. Black abolitionists like Frederick Douglass, white evangelicals like Theodore Weld, and white religious radicals like William Lloyd Garrison led a broad coalition that sought to convert churches to an understanding that slavery was a sin and to enlist them in the antislavery cause. The success of Harriet Beecher Stowe’s novel, Uncle Tom’s Cabin, aided the movement by creating a sympathetic portrait of slaves, which, while patronizing, appealed to the moralistic sentimentality that typified the piety of much of the Protestant middle class. The antislavery movement also created major divisions in American Christianity as the nation moved toward civil war. Methodists split along north/south lines in 1844 over the question of whether a slaveholder could be a bishop. Similar controversies led to a split among Baptists in the following year. Other churches witnessed the emergence of pro- and antislavery splinter groups, while the Catholic, Episcopal, and Lutheran churches largely remained aloof from controversy, although the latter two would also experience fracture over the question of slavery. Abolitionists never converted most churches to an unambiguous denunciation of slavery, and full emancipation came only as the result of civil war. But the role of the churches in the fight against slavery nonetheless provided an inspiration for Protestant social reformers later in the century. The women’s rights movement also grew out of a fusion between enlightenment ideals and Protestant moral reform. Many women joined the abolitionist ranks only to be excluded from leadership roles in some antislavery organizations. This experience led a small group to convene the Woman’s Rights Convention in 1848 in Seneca Falls, New York. Over the next four decades, the movement grew into a coalition of liberals like Susan B. Anthony and evangelicals like Francis Willard, who for years led the Women’s Christian Temperance Union. Suffrage, one central goal of the movement, was achieved only with the passage of the Nineteenth Amendment in 1920. The ordination of women was another outgrowth of the women’s rights movement. 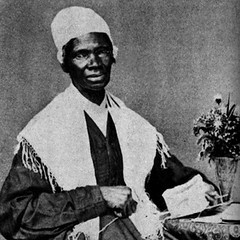 In 1853, Congregationalist Antoinette Brown Blackwell became the first woman to be ordained in the United States. 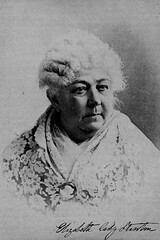 However few other churches followed this example, and continued Christian resistance to women’s issues led Elizabeth Cady Stanton to publish The Woman’s Bible, a pioneering work of feminist criticism. A much broader movement for women’s ordination and a more systematic feminist critique of Christian practice came only after the middle of the twentieth century.